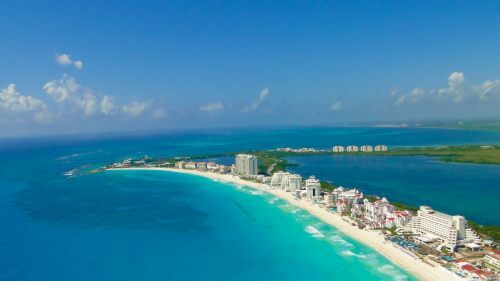 Interjet has dropped the price of their non-stop flights from Vancouver to Cancun, Mexico down to between $256 and $284 CAD roundtrip including taxes. If you're comfortable booking in Spanish, you can book these flights for $256 CAD roundtrip. 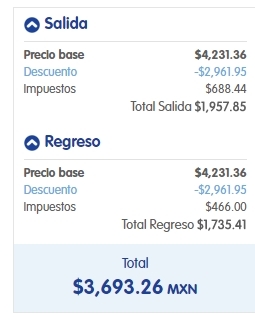 The price should show up as $3,693 pesos for a roundtrip flight. 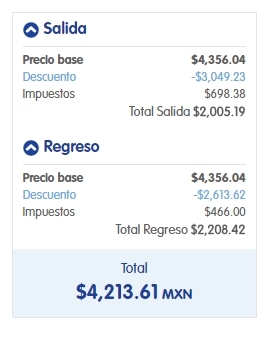 If not, you can click on 'Visualiza todo el mes' to open up the calendar view and look for the date combinations that add up to around $3,693 pesos roundtrip. When booked with a Canadian credit card, $3,693 pesos will work out to $256 CAD roundtrip based on today's exchange rate, and including the typical credit card foreign exchange fee. 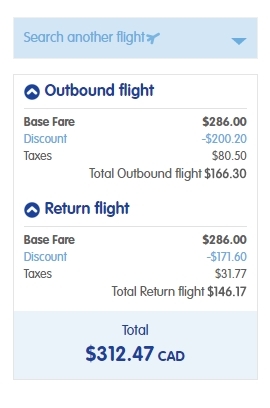 - If you follow the instructions for booking these flights through the Pesos currency version of the Interjet website, you can book them for $4,213 Pesos roundtrip, which will work out to $282 CAD roundtrip. vancouver, yvr, mexico, flight deals, cancun, cun, north america and interjet. 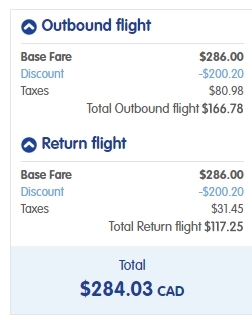 2 Responses to "Vancouver to Cancun, Mexico - $256 to $284 CAD roundtrip including taxes | non-stop flights "
I strongly recommend to use Yvr deals to guide you all all over the world. I'm finishing up a Yvr deal to the Philippines and it was truly life changing. I met great people and experienced the Philippine culture. Thanks Rick, that is really nice to hear! I'm glad you had a great trip.